The West Coast Trail, the Boreal Trail, the La Cloche Silhouette Trail and more—these classic trails beckon Canadian backpackers. Multi-day hikes that meander through pristine and diverse wilderness offer a rich connection to nature. It’s digital detox meets fitness bootcamp. And this year, you’re heading out for the first time. Comfort is key—so try on a few packs. Ask staff at your local outdoors store to measure your torso length to find matching units. Put some weight in the pack and pull the straps tight. How does it feel? The load should be supported primarily on your hips. Look for pinch points that may signal trouble mid-trail. Aim for a capacity of between 65 to 85 litres. If you’re planning a short weekend trip, you may be able to size-down to 50 litres. Top-loading packs are the lightest and carry the most stuff—but access is a chore. Clamshell designs offer easy access, but carry less gear. Ankle/arch support, waterproofness (quick drying) and light weight are all key features. Mud-hikers should look for deep tread; rock scramblers should aim for sticky rubber. Leather construction is toughest; synthetic is lightest. Modern backpacking boots usually won’t require those long break-in periods of boots of yore, but ensure you put a few miles in them before you head out. Mid-hike is not the place to find out they painfully pinch your pinky toes. Pro tip: pack flip-flops or backcountry slippers for post-hike comfort. Research the average low temperature at your destination (Environment Canada’s Canadian Climate Normals Website is a good resource) and choose a sleeping bag that can handle that, with room to spare. Remember that down insulation is lighter and more packable than synthetic, but also more expensive, requires greater care and is not hypoallergenic. Synthetic fill, or hydrophobic-treated down, is best for wet climates. For most mid-summer backpacking trips in lower elevations, a five- to 10-degree Celsius-rated bag should be fine. 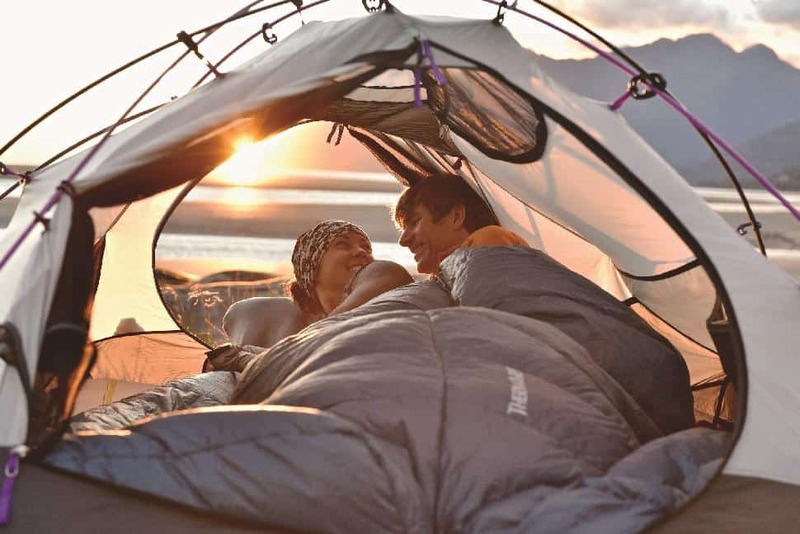 Couples who value comfort should opt for the roomy Therm-a-Rest Ventana Duo, a synthetic-fill one- or two-person bag that utilizes a mattress coupler to open up and accommodate campsite cuddling. Its two-kilogram weight is manageable when you consider you’ll only need one per couple. Three-season or high-mountain backpackers should opt for a minus three to -10 rated bag. Stuffed with hydrophobic down, Therm-a-Rest’s Antares HD keeps cozy in sub-zero temps and weighs just 890 grams. Pro tip: a compression sack is useful for squeezing your sleeping bag while on the trail—but never store it compressed long-term. 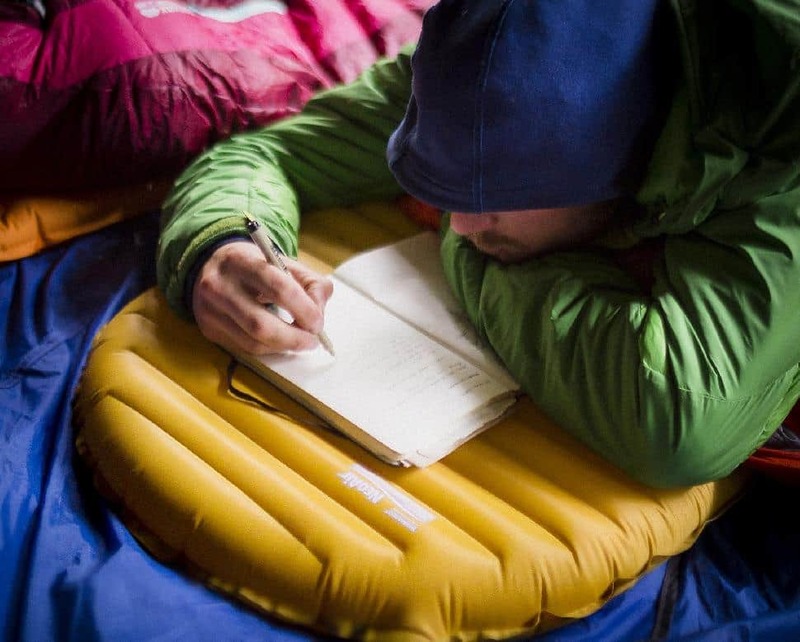 Sleeping pads offer essential comfort and are key elements in staying warm. Therm-a-Rest’s Neoair Trekker keeps you toasty with proprietary technology to trap radiant heat. Plus, there are over one hundred insulating cells to reduce heat convective heat loss. Weighing just 510 grams it beats out synthentic fills every time. We recommend lightweight (three pounds per person or less), freestanding, double-wall tents with simple pole setups (colour-coded or one-piece). About one-square-metre of vestibule space per person is important for gear storage. If it’s setup in-store, climb inside, noting the wall angle (key for determining usable space) and whether or not you’ll have to scramble over your partner to get out (not always ideal). Venting is vital; and consider an aftermarket seam-sealer or a wash-in treatment for added weather protection. On long trips, you may be able to tolerate a little extra weight of a larger tent if it means oh-so-valuable elbowroom. Campers often underestimate their on-trail desire to have a soft place to lay their heads. Pack Therm-a-Rest’s Honcho Poncho and you’ll have an envy-inducing evening coat that also packs into a pillow. If you don't need the poncho the Air Head Pillow packs exceptionally small. 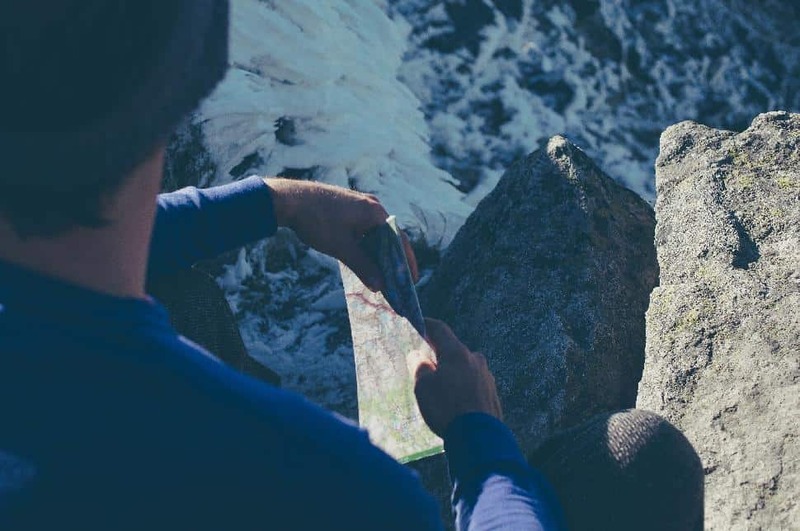 Start with a wicking base layer (we like wool or wool-synthetic blends) and similar socks (never cotton), an insulating mid-layer (tight-knit fleece is a good bet) and finish with a waterproof-breathable layer. Visualize your days afield. How many pairs of socks and underwear will you require? Throw in at least one extra pair of each. Will it be cold enough for a toque and gloves? Will a swimsuit come in handy? We’re fans of compact stoves that burn isobutane. However, stick stoves are also raising some eyebrows. Often the smallest and lightest units available (some are less than 100 grams), stick stoves burn forest debris and, with practice, boil water very efficiently. At least this gets lighter day-by-day. Today’s dried camp food is surprisingly tasty; buy a couple of samples ahead of time to taste-test. Add high-protein snacks like nuts and jerky. Instant oatmeal with dried fruit is a great breakfast; premium instant coffee tastes better than you think. Campfire biscuits from a just-add-water mix are a nice addition to any dinner. Bring some chocolate and candy—you’ll easily burn the calories. 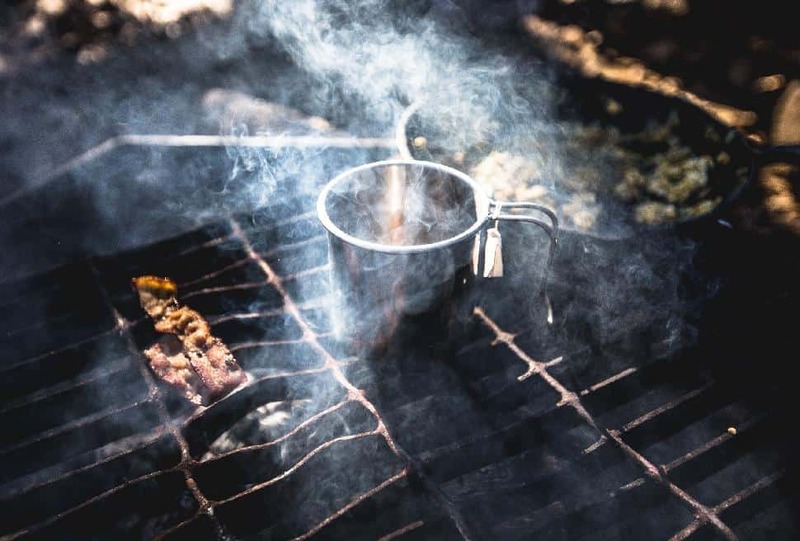 If your route hits established campsites with potable water, pack an emergency filter and/or treatment tablets and fill your bottles at every stop. Otherwise, a gravity- or pump-filter should be used to fill water bottles. Hydration is key to success—aim to consume three litres of water per person per hiking day. Headlamp and extra batteries, first-aid kit, bug spray, cooking/eating/drinking kit (with storage bag), camp knife/saw, tarp and rope, garbage bags, dry bag, sunscreen, toilet paper, camp towel, sunglasses, camp soap, personal toiletries/medication, duct tape, rope/cord (for tarps and bear-bag) map, sun hat, waterproof matches/firestarter, camera. You have the gear, but have you prepped your body? Treks like BC’s West Coast Trail or Ontario’s Coastal Hiking Route will see you trekking over variable terrain for 10 to 20 km per day. Your usual regimen of jogging, cycling and weight-training is great—but you’ll want to add some hiking-specific exercises too. 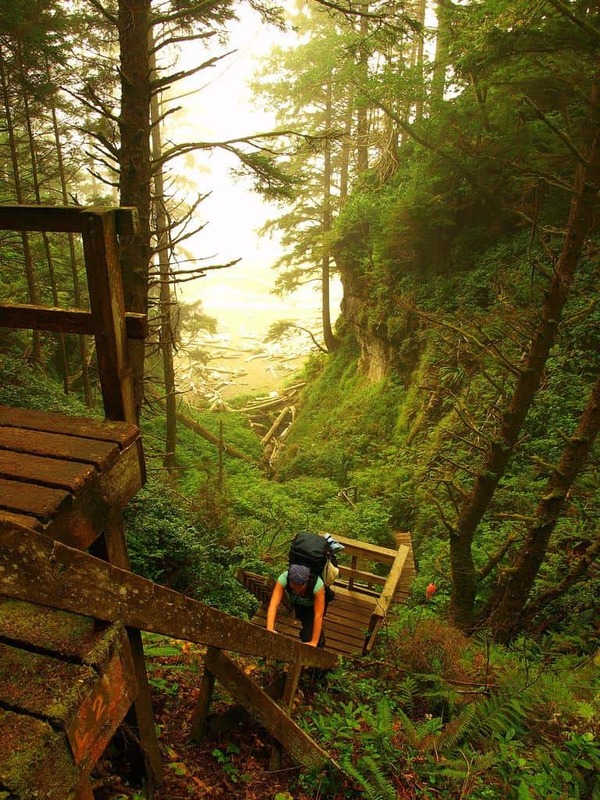 Load up your pack, put on your boots and find some lengthy stairs to climb. Now climb them again. And again. (You get the picture.) This is also a good way to break in gear. Go for lengthy walks on beaches or other uneven terrain—with a packed load, of course—to further build endurance and workout your stabilizing muscles. Core exercises are also very important for backpackers. Ensure you stretch and recuperate properly—and build fitness gradually over time, not rushed in the two weeks before your hike. The more fit you are, the more fun you’ll have. Set up your tent, fire your stove, inflate your mattress and fiddle around with your GPS receiver. The place to master your equipment is at home, with the instructions folded out on your coffee table—not in the pouring rain somewhere on the trail. Choosing backpacking-buddies is an art and a science. Consider personality conflicts and manage expectations. Is one member expecting to speed-hike 25 km per day, and another hoping to stop for a rest every hour? Is one person OK with eating instant oatmeal for all three meals, while another is expecting charcuterie and cheese? Are you visualizing serenity but your spouse is packing an iPad? Sort out these details ahead of time. For your first backpacking trip, three nights/four days is a good start. Extend that to five nights if you’re ambitious, prepared and a practised day-hiker. Many trails require reservations, and paths within provincial/territorial and national parks will have a fee structure for back- or front-country camping, and possibly trail-use. Visit the parks’ websites to uncover specifics. Can you fashion a makeshift splint? Stop the bleeding? Assess a concussion? Ideally, blisters and sore quads will be your biggest health woes—but general knowledge goes a long way. Study some basics from a reputable source (St. John’s Ambulance is a benchmark resource) and consider an emergency locator device if you’re trekking beyond cellphone service. West Coast Trail, British Columbia: At nearly 80 km, it’s ambitious for the first-timer and requires reservations months in advance—but pays off with dazzling Pacific coast scenery. Sunshine Coast Trail: The best aspect of this 180-km maintained route is not that it’s free to use, scenic and has sections varying from a half-day to a couple of weeks. The best aspect is the 12 on-trail huts, which offer first-come first-serve backcountry comfort. Skyline Trail, Alberta: Jasper National Parks’ signature hike. 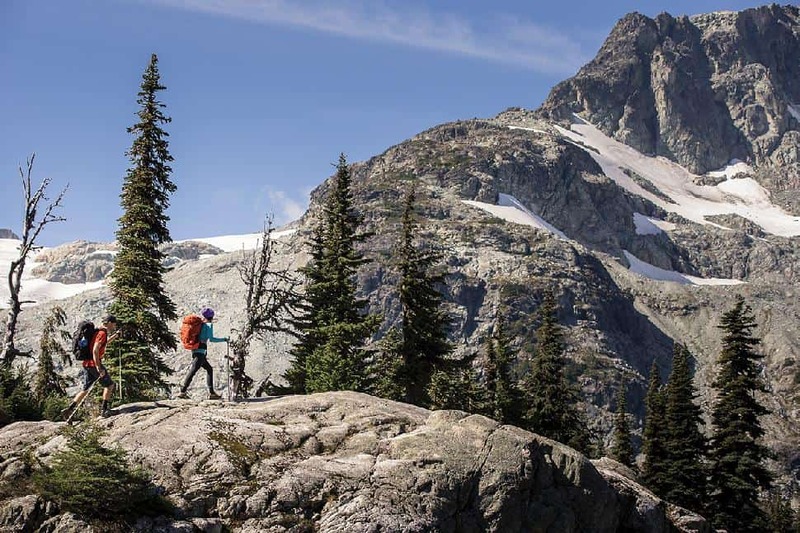 You’ll spend most of your three days above the treeline, enjoying boundless Rocky Mountain vistas and wildlife sightings throughout the 44-km length. Boreal Trail, Saskatchewan: Easy terrain, a mix of back- and front-country camping and pleasant forest scenery will have you dancing through the daunting 120-km length. Pisew Falls to Kwasitchewan Falls, Manitoba: This overnight trek leads between the province’s two highest waterfalls—but expect two long days of tough hiking over 44 km. Coastal Trail, Ontario: You’ll want to be a fit day-hiker before tackling this 60-km wilderness trek that traces the wildest shore of Lake Superior. But the sunsets alone are worth it. Bruce Trail, Ontario: We’re not expecting you to traverse all 900 km of this legendary route. Just pick a leg—one, two, three nights or more—and wander to your heart’s content. Fundy Circuit, New Brunswick: Hikers are treated to mixed-woods forest, coastal views and waterfalls on this 48-km trail that loops through Fundy National Park. Cape Chignecto Coastal Loop, Nova Scotia: Hikers usually take about four days to traverse this 52-km trail, stopping to revel in expansive views from atop the province’s highest sea cliffs along the way. East Coast Trail, Newfoundland & Labrador: Yes, it’s 265 km. But you don’t have to hike the whole thing—this lengthy footpath runs through towns for a recharge and treats with views of icebergs and whales along the way. Dry socks and quality chocolate solve most morale issues. Consider an external battery pack to recharge device batteries. Leave your itinerary with a friend/family member. Buy permits online, ahead of time (if possible/relevant). Pack a journal, for your profound wilderness contemplations. This article was brought to you by our friends at Therm-a-Rest. We’re dedicated to creating the finest sleep solutions for the outdoors because we believe if you rest better, you’ll play better. Want to learn how to get into whitewater paddling? Here's everything you need to know to take the plunge.